Advice Home > Adolescence > What Is Adolescent Egocentrism, And How Can I Deal With It As A Parent? As your child's brain matures, they tend to go through a shift in a perspective called adolescent egocentrism. What is that? It's a particular way of seeing themselves and others that can make their lives and yours more challenging. Understanding how adolescent egocentrism works and how to respond to it can do your job as a parent is much more doable. Adolescent egocentrism is term popularized by psychologist David Elkind. Elkind studied adolescents aged 11-18, noting differences in the ways they perceived their world and imagined that others perceived it. 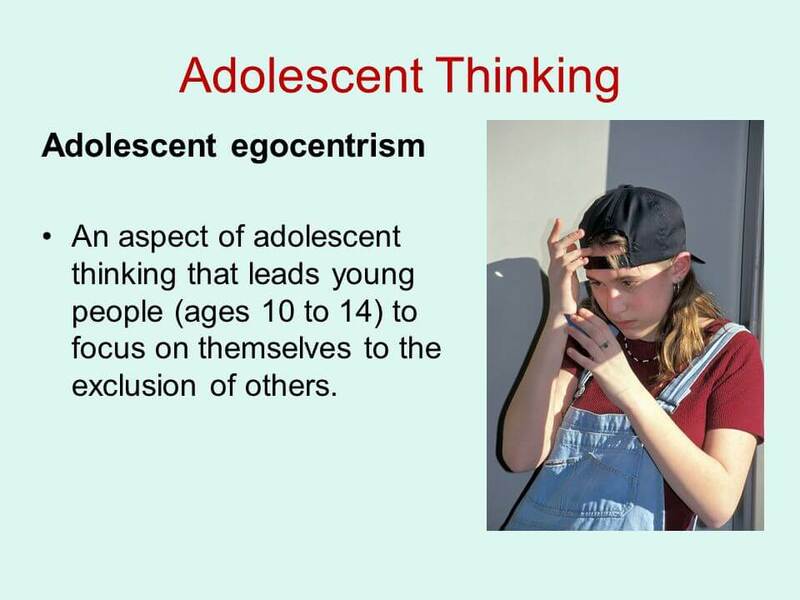 Elkind described adolescent egocentrism as an adolescent's inability to make a clear distinction between their perceptions and the perceptions of others. 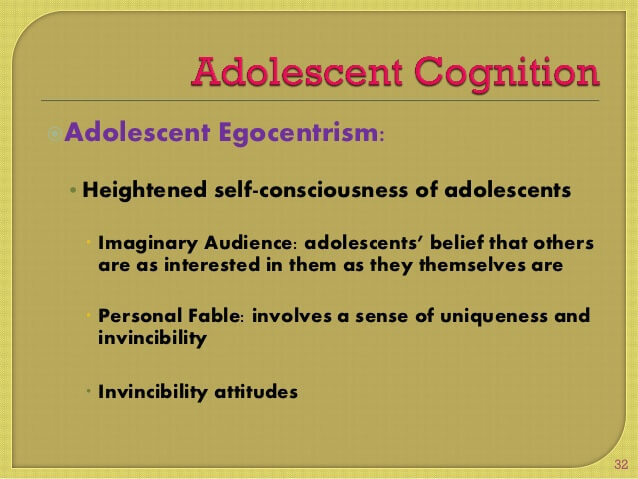 According to Elkind, the adolescent's egocentrism came about as a part of the development of their cognitive powers, when they first reached Piaget's fourth cognitive development stage of formal operations. This is the stage in which they gain the ability to think abstractly and manipulate ideas more easily. Elkind noted that adolescents, beginning at age 11, began to create for themselves an imaginary audience of people who judged them as good or bad and thought about them in the same ways they thought about themselves. He also talked about the "personal fable," which is the adolescent's beliefs that their feelings are unique to them. What Is The Imaginary Audience? Elkind noticed that children in this age range were putting their newly acquired cognitive skills to work by considering what others thought of them. The children's ideas of other people's perceptions had more to do what the adolescent thought than with what the person whose thoughts they were considering. When the adolescent made judgments about what other people were thinking, they were thinking of that audience based on what they imagined. Elkind called this perception the "imaginary audience." He noted that the adolescent made these judgments about their imaginary audience often without even consulting those people or testing those perceptions in any way. What Is The Personal Fable? Adolescents create a personal fable for themselves that helps them feel unique, powerful, and even immortal. Many adolescents rely on their fable to justify breaking rules that they believe were made for others who aren't so special. They may see themselves as being as good, strong, or as knowledgeable as their favorite idol, hero, or even god. Elkind said this phenomenon was related to natural cognitive development in the early formal operations stage. Yet, some studies have shown that that association is doubtful. Elkind stated that adolescent egocentrism starts around age 11. However, research has shown that this phenomenon is not necessarily related to age. Adolescents tend to spend a lot of time alone, contemplating who they are and what their place is in the world. This may lead them to be more egocentric, or the reverse may be true. It may be that their preoccupation with themselves leads them to spend more time alone. Some studies show that egocentrism isn't necessary for self-consciousness. The cause of adolescent egocentrism is uncertain. In fact, even the idea that all children go through such a stage is in question. Elkind considered adolescent egocentrism as a necessary stage of cognitive development, but more recent research indicates that it may not be temporary at all, at least not for everyone. The adolescent spills a soda on her dress at a school dance. She imagines that everyone judges her harshly for this, thinking that they see her as clumsy or sloppy. She may have a hard time going back into such a situation in the future. The adolescent feels justified in skipping school because they feel others don't feel the same pressure to perform as well as they do. The adolescent sees themselves as being socially awkward and assumes that others see them the same way. So, they don't even try to engage in social interactions. The adolescent feels such a strong self-hatred that they assume their peers hate them too. That adolescent may engage in bullying, cyberbullying, or physical aggression. The adolescent sees someone else try something risky and fail, but because their fable indicates that they're stronger or more capable than others, they go ahead and try, believing that the results will be different for them. Knowing how to respond to your child's adolescent egocentrism is crucial if you want to help them while maintaining a relatively peaceful home. You can't control their behavior as much as you might like to at this age, and you certainly can't control what they think about. Yet, there are several ways you can help. If you see that your child is acting in ways you don't understand because of their perspective on an imaginary audience or the personal fable they've created for themselves; it's important to recognize your history. Perhaps you had similar ideas when you were an adolescent. Maybe you behaved in similar ways, at least sometimes. Remembering those times can help you have a more accepting, understanding attitude, whether you tell them about those experiences or not. The way to move beyond adolescent egocentrism is by testing ideas of an imaginary audience or personal fable against reality. It usually isn't a good idea to point out your child's mistakes at this age, and it's especially unsettling to them if you make fun of them or put them down for it. However, you can take a problem-solving approach with them to help them see if their perceptions hold up against what's going on around them. Don't take a lecturing tone, though. Often, the best thing you can do to help them see the discrepancies between their egocentric view and the social reality is to simply ask them what they think is true based on their observations. 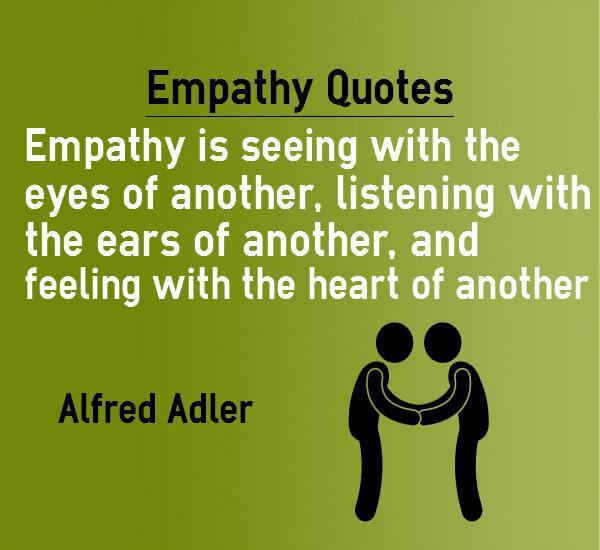 Those who learn to be empathetic usually become more caring, engaged people. They also can learn to have a more realistic view of others' perceptions. Remember that a big part of being empathetic is being willing to listen and learn from someone else to find out what they're going through. Then, you can begin to put yourself in their shoes to have a clearer understanding of the situation as they see it. Compassion is a wonderful thing, but it isn't just helpful for the people we show compassion to in life. It also helps us become more stable, social people. When we show compassion for ourselves, we empower ourselves to do the things that make us happier. Adolescents who have self-compassion tend to be less violent and more social. Because they tend to judge themselves kindly, they don't tend to perceive others as judging them harshly, either. If you don't do anything else to help your child through their adolescent egotism stage, you need to be there to offer your understanding and support. Remember that your child isn't thinking this way because they're "bad" or "abnormal." Any adolescent might think the same way, and their peers probably do at least part of the time. So, rather than labeling them as different, it's important to offer your unconditional love and emotional support. Work on coping skills like being flexible, brainstorming solutions, or keeping a gratitude journal. Learn calming techniques like deep breathing, meditation, or systematic muscle relation. 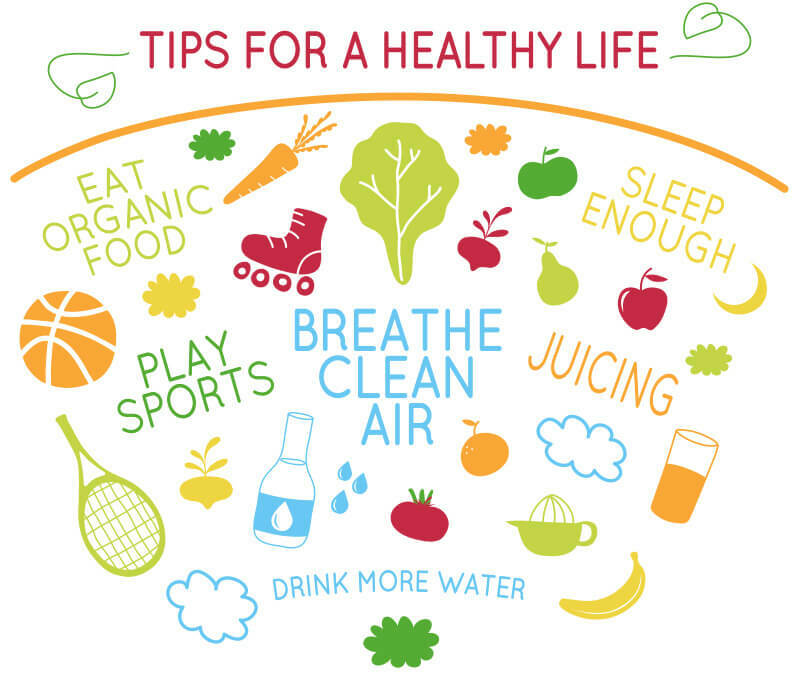 Make healthy lifestyle choices like eating healthy foods, drinking plenty of water, exercising, and avoiding cigarettes and alcohol. Coping techniques are extremely helpful for you as an adult. Even better, do them along with your adolescent. They can better cope with this difficult stage in their development and carry these techniques with them as they move beyond their adolescent years. 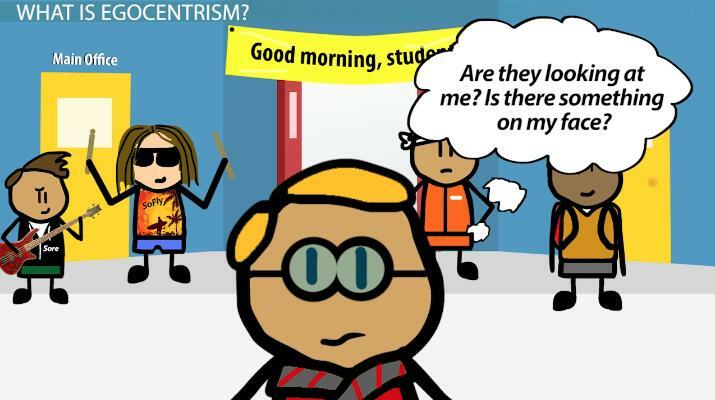 Is Adolescent Egocentrism Normal And Healthy? It's unclear whether adolescent egocentrism has a healthy function in cognitive development. However, whether it does or not, it happens to most if not all adolescents. What you need to remember is that, while it might not be a serious problem for your child, it is worth noticing and responding to appropriately. Guide your child through this time with the awareness that it doesn't have to be a lifelong problem. At the same time, pay close enough attention that you notice if your child is making destructive choices because of their adolescent egocentrism. Then, if they need mental health help from a doctor or therapist, you can make sure they connect with someone who understands their needs. You might decide that your adolescent's strange view of the world is just too much for you to deal with every day. You might notice that you don't know how to respond to them. You might also begin suffering the effects of living in the stressful situation caused by your child's skewed view of the world. If you need help understanding your child or coping with the problems their egocentrism creates, you can talk to a licensed counselor at BetterHelp.com. Therapy through Better Help is convenient and private. Life as a parent is never easy, but even when your child is facing the challenges of adolescence, you can develop a calm, understanding core of inner peace that will make both your lives much easier than you might be able to imagine now.